People need to be curious and investigate from where cutting-edge ideas emerge? The inner space is not the answer anyone would take seriously. Here is how it goes. Who Should Read “Strategic Intuition”? And Why? 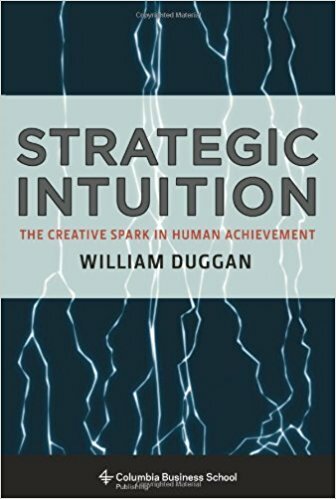 The author of “Strategic Intuition” and also a management professor William Duggan places faith in seeing intuition from several perspectives. The beauty of it lies in giving every approach a chance to share its pros and cons. For a person to get the hang of intuition, that individual must possess critical thinking skills in order to get from point A to point B. To sum it up, this book comes highly recommended for every person in the world, because it’s not limited to any culture, industry or field of knowledge. 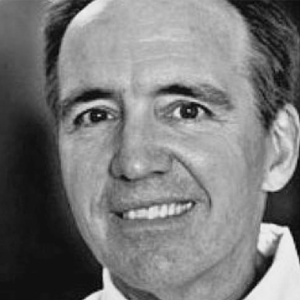 William Duggan has written several books based on innovation. He is the author of Strategic Intuition, Creative Strategy, and The Seventh Sense. 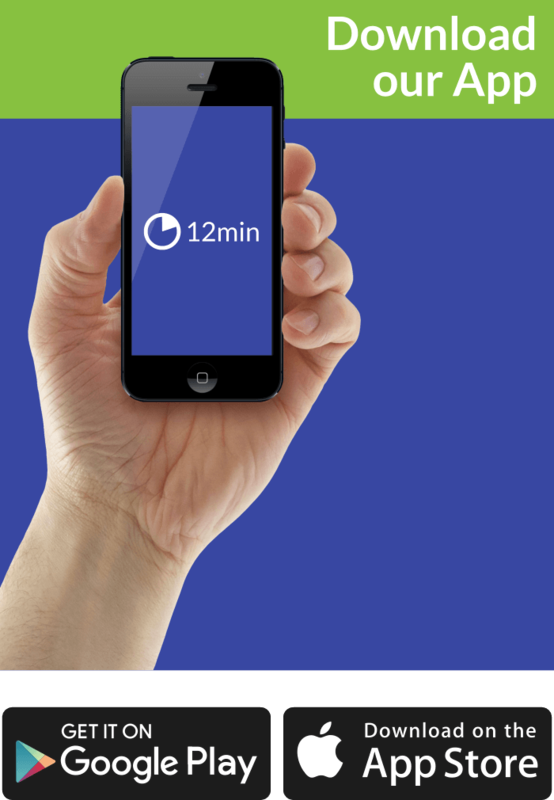 Momentarily, William works at Columbia Business School as a professor of innovation. The most celebrated artists back in middle ages, described their inspiration moments, as a shower of eureka-moments. They weren’t so eager to learn how it all started and what caused this “Bum”. Inspiration strikes without warning, and suddenly everything starts to make sense. In spite of having numerous explanation on what does this flow of ideas mean and how it should be interpreted, not a single theory can bring facts to light. The author doesn’t want to sound too biased when he explains those inner “hits” because cherishing these moments don’t involve sharing their impact. Still the question – How can a person encourage the revival of these inspiration moments? What is the trigger? Many of these notions instigate change, the inner feeling of where is this all going comes forth. Ideas originate from one special secluded place – known as the heart. The physical aspect cannot cover these emotional hypotheses, so the answer must come from within. To embark upon a journey, a person needs to get rid of everything that contradicts its progress and break that brick wall of negativity. Not long after the society has imposed certain restrictions on philosophy and science, many scientist and artists back in the days, tried to express themselves in a variety of ways. Nonetheless, skepticism is never off the table, that includes doubting every theory that presents itself before you. Even today, we are not witnessing a free community, perhaps because not all information or concepts are easily available to the public nor accessible in different forms. A peaceful state of mind is the only critical tool required for such an adventure. The discovery encompasses several aspects related to heart, soul, and intelligence! Disciplines covering subjects from “the history of science” to “ancient philosophy” are capable of delivering answers to some of the questions mentioned above. Studies conducted by researchers in neuroscience and psychology are dealing with these synthesizing insights once and for all. Ordinary intuition – Those basic feelings known to everyone – “gut instincts” are also shaping people’s choices. Their influence spreads on other intuitive decision-making situations. Expert intuition – You make “straightforward judgments” about some area known to you. Malcolm Gladwell discusses this mental leap comprehensively in his book – Blink. The notion of studying similar situations is the eagers to learn how to overcome problems without putting too much effort. Process solutions and don’t be afraid to seize opportunities that emerge on a daily basis. Strategic intuition – Using “rationality, not emotional approach,” when trying to comprehend all aspects of intuition. Over time, new ideas don’t come simultaneously, linking separate elements can also generate a new vision. In reality, arguing about different points of view can only reduce the positive effects of strategic planning and thinking. The author on numerous occasions convincingly disagrees with the idea shared by many books – that planning is not necessary when it comes to intuition. This book is rich with plenty of alternatives that contradict this theory and ultimately battles to win respect back. Duggan demonstrates his ideas by debating with other innovators, experts in several areas. Every book including this one, have flaws and imperfections, but that would not have any meaning if the authors spice it up with a perfect flow, and understandable content supported by facts. We prescribe this magnificent mix of ideas, to all people keen to see beyond the basic rules of planning and thinking, and engage in a new adventure – Intuition. Sudden insights have not only sparked individuals like artists and philosophers throughout history but also, they’ve contributed to the building process of everything we witness nowadays. These sensations have a huge role in modern times as well. Companies are entitled to change their strategies according to their needs. The marketplace requires flexibility and constant innovation for maintaining that competitive edge. The shortage of ideas and inventiveness have dragged businesses down. Make sure your firm doesn’t suffer the same consequences. Two ideas influence the perspective that majority of people have when it comes to arts. In the first place, artists are only geniuses – no practice or training required. Second, the crafty nature is linked to something relatively new. The sad thing is that none of these views are trustworthy, only a blend would do the trick. Generally speaking, Duggan harmonizes outlooks from a bunch of traditions trying to entice readers and clarify how strategic intuition covers various aspects. Organizations can implement some of these mind-blowing theories into their production process.